November brings Autumn to a close and so ushers in the famous Winter constellations and colder, hopefully clearer, nights. British Summer Time is gone and replaced by Universal Time Coordinated/Greenwich Mean Time. Astronomical twilight ends at 18:35 at the beginning of the month and improves to 18:05 by the end. A similar improvement in mornings from 05:09 to 05:50 means you should be spending less time under the duvet and more time in thermals. The Moon is Full on 4th November and New two weeks later on 18th November. This will wash out the remaining Southern Taurid meteors that peaked on 10th October (ending on 20th November) but not so bad for the Northen Taurid Meteor Shower peaking around 11th November. You can expect 5-10 meteors per hour from the Northern shower. The shower is a slow burner running from 20th October to 10th December. 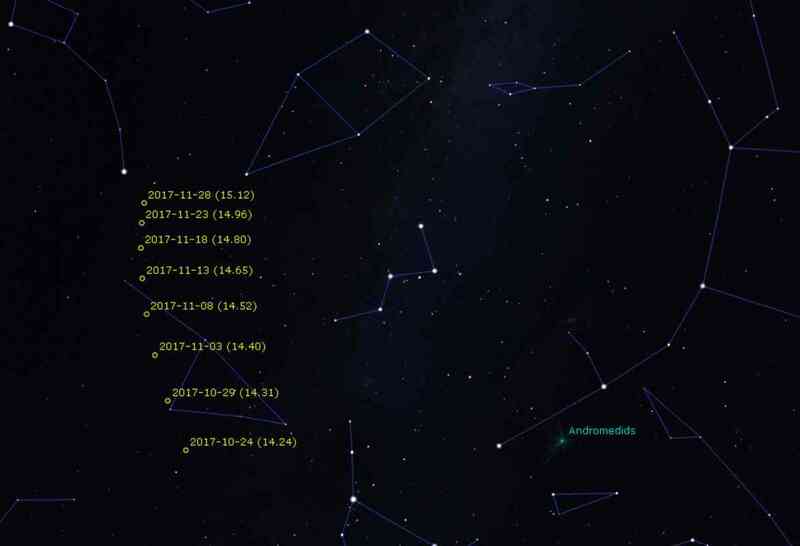 The Southern and Northern Meteor Showers are believed to relate to Comet 2P Encke and possibly a piece of that comet, Asteroid 2004 TG10 which may have broken off. If you do wish to have a look then like most showers, observe after midnight for the best chance to see some action. 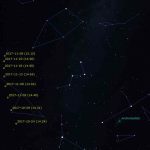 The radiants do migrate over this long active period but remain in Taurus and so anything traceable back to this constellation is probably a legitimate Taurid. 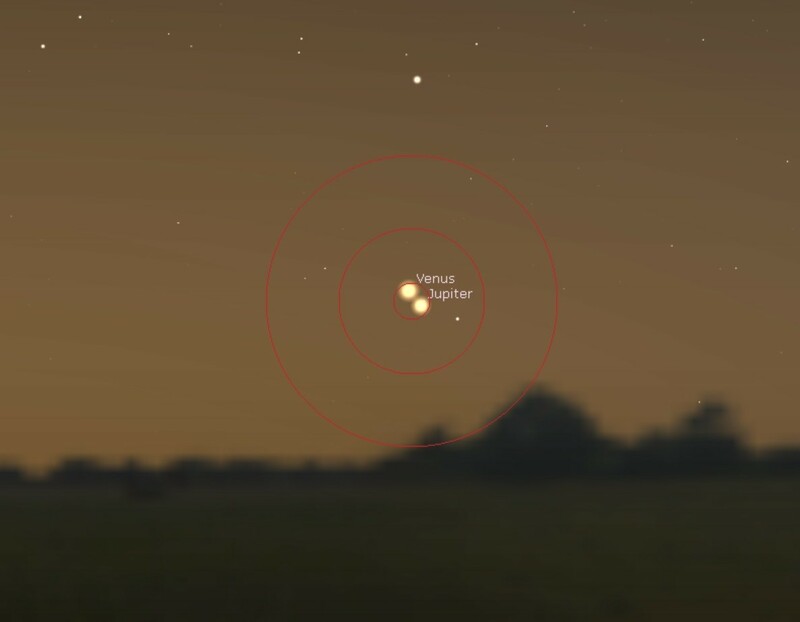 In the week before the New Moon, there is a conjunction of Venus and Jupiter (13th November) and they’ll be almost half-a-Moon’s diameter apart, 0.3 °. You’ll have to be an early riser of course but it’ll be well worth it visually, in binoculars, for wider angle photographers as well as telescopically. They are both very bright and so exposures will be easier and no guiding required. Look to the East just before Sunrise. Perhaps do a little planning if taking pictures to find a good foreground subject in the East. The Moon will pass near to Mars on the early morning of Wednesday 15th November providing a further photo opportunity. If the Taurids didn’t excite you then on 17/18th November, the Leonids should be able to perk you after after midnight with up to 15 meteors per hour. Although a cyclic shower with a period of 33 years, the last max was in 2001 so it is expected to be a normal shower this year from 6th – 30th November. The source of this shower was Comet Tempel-Tuttle and the radiant is in Leo, so any meteor trails that can be traced back to Leo is probably a Leonid. The New Moon on 18th November means that the best weekend evening observing of fainter objects will be on the weekends of 11/12th and 18/19th November. 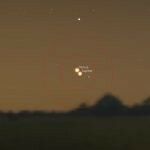 Mercury reaches its greatest eastern elongation on 24th November and can be seen at Sunset under Saturn, from say 16:00. Uranus and Neptune are visible throughout the month. Uranus is still bright following conjunction and is in Pisces. Neptune is in Aquarius and benefits from observing earlier in the evening. 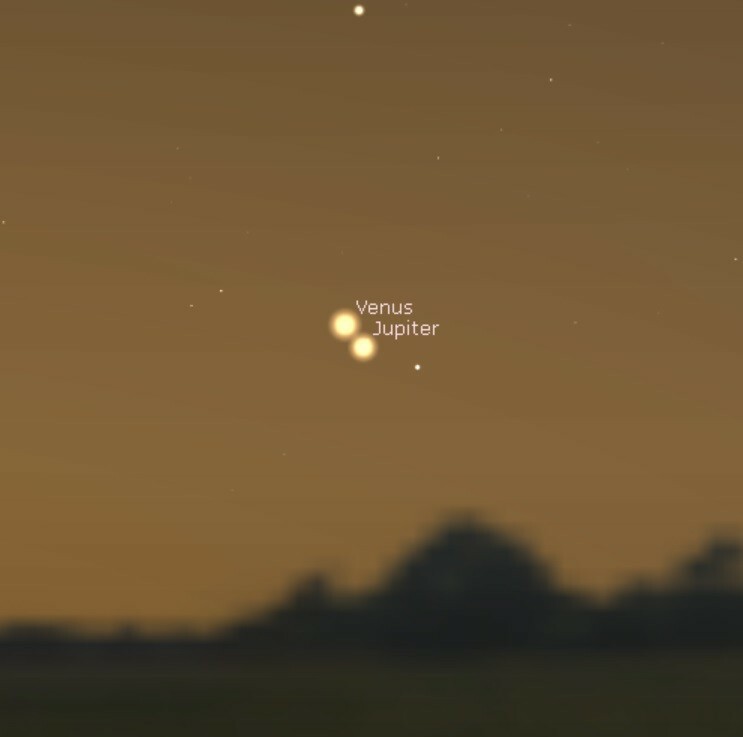 Jupiter, Mars and Venus are all morning objects with Mars the earliest to rise. Saturn continues to set even earlier but given a good westerly horizon is still visible after Sunset during this month. Comets are not wowing us at present and it has been many years since any were easily visible to the naked eye in UK skies. One telescopic candidate C/2017 O1 (ASASSN) is still around having jumped to magnitude 10 a few months ago but has been fading slowly. Here to the left, it’s position and diminishing magnitude is shown if you want to try to capture it with a telescope and camera. There are some interesting comets out there but have only been approaching significant brightness once close to the Sun and so not visible to amateurs. Hopefully you won’t have to wait too long for brighter comets; apart from new discoveries 21P/Giacobini-Zinner is a possibility for bringing a faint smudge to our skies next summer.